The Cartoons began life at the tail end of 1978 after the disintergration of The Stingrays (yes, another band named The Stingrays) The line up then was Laurence Cane-Honeysett (Voc), Tony Cane-Honeysett (Guitar Voc) Martin Coyler (Bass) & Stuart Silver (Drums). This incarnation lasted until Mid '79 when the recorded line-up came into being. 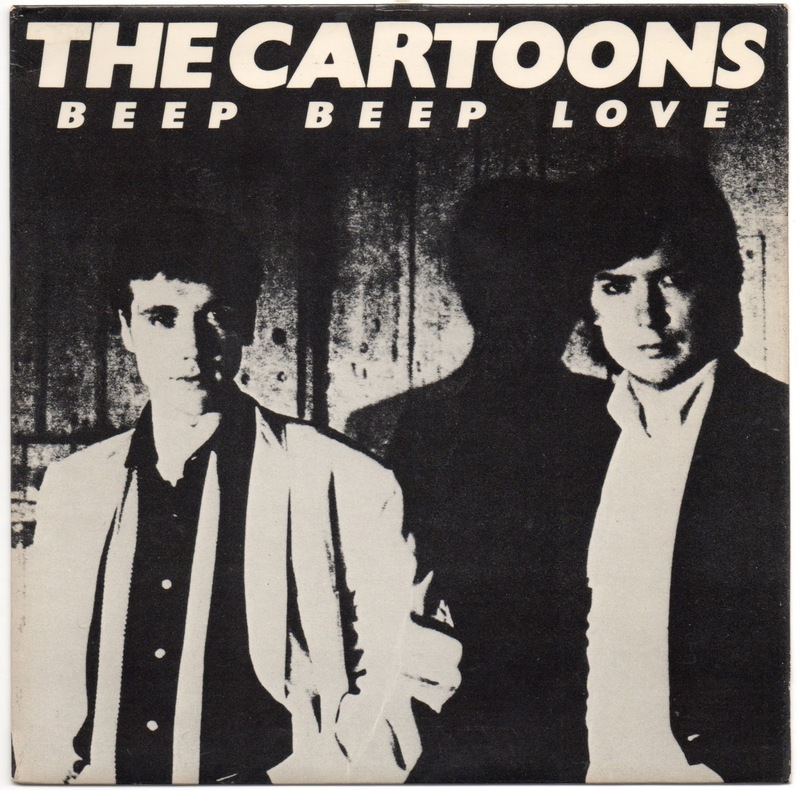 The Cartoons lasted until early 1981 were upon they split up. If you followed the links you'll know what the Cane- Honeysett brothers are doing now but what of the others?....... Nigel Scragg, Philip Scragg & Chris Blackwell are all in-demand session players & Paul Feldwick became an advertising executive.